Or "hello my friends" in Latvian. Latvia is a country in the Baltic region of Northern Europe, one of the three Baltic states. It is bordered by Estonia, Lithuania, Russia, Belarus and by a maritime border to the west with Sweden. Latvia has 1,997,500 inhabitants and a territory of 64,589 km². It was precisely from this country, specifically from Riga, the capital, that I received a message via Facebook Messenger few weeks ago. The initial contact was made by the expert in stereoscopic technologies Artūrs Šlosbergs. He told me of a project involving the facial reconstruction of a mummy belonging to the Art Museum Riga Bourse collection. 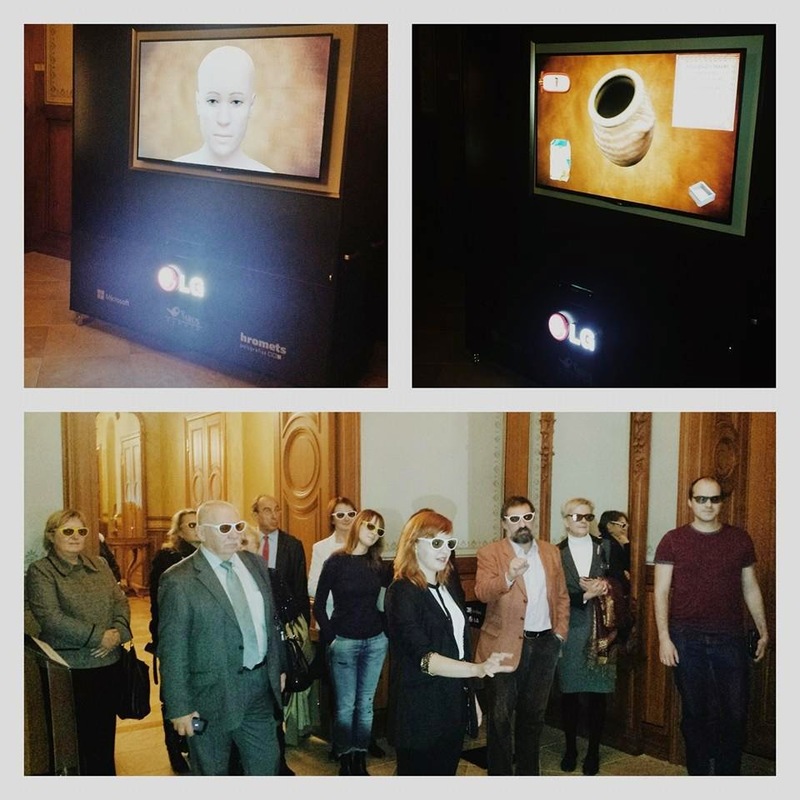 First presentation of the 3D application with real-time manipulation via Kinect and stereoscopic view (3D glasses). The project had two great challenges. 1) The mummy did not have richly segmented tomography, but only with some x-ray and CT with a few cuts in the body. 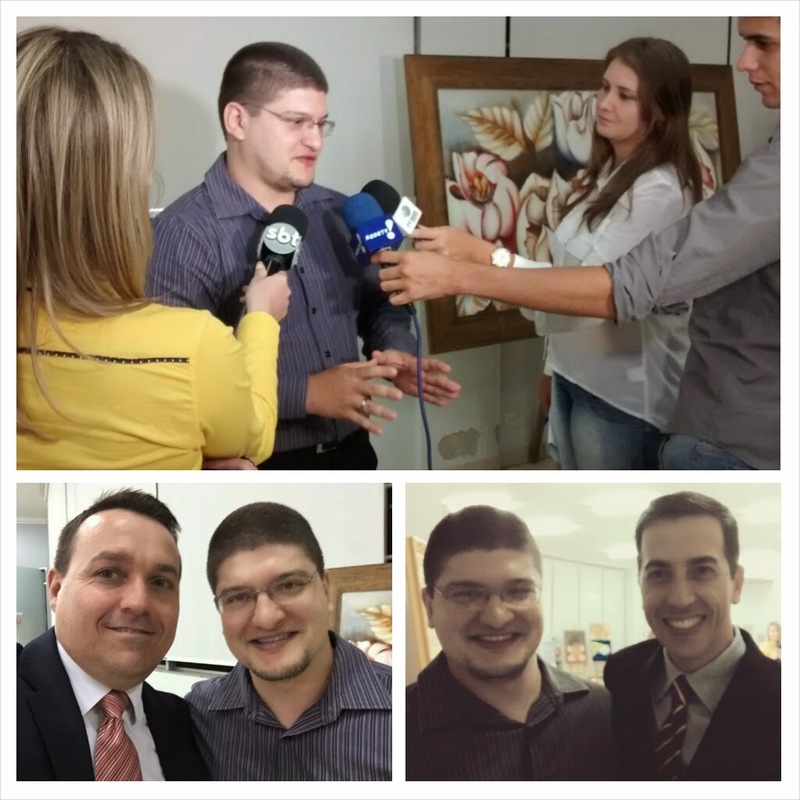 2) The project was to be finished soon as possible (it's my friends, this does not happen only in Brazil, like I thought). 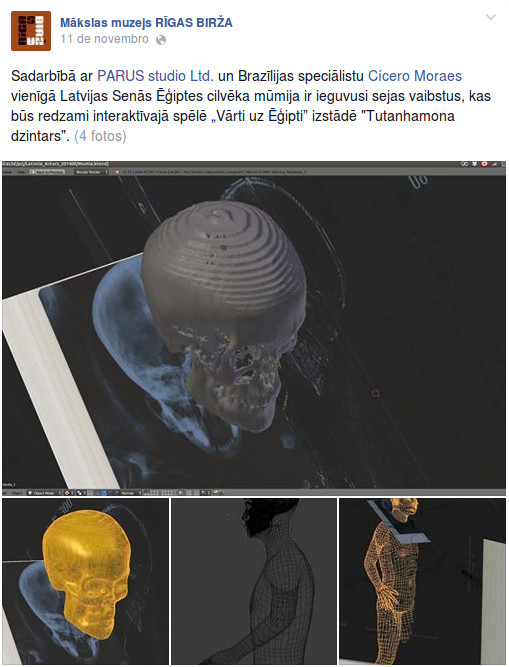 As I worked on something similar in Tothmea project (an Egyptian mummy), where we reconstructed her skull joining data from multiple materials (CT-Scan, X-ray and photogrammetry) we could rebuild considerable part of the structure needed to make the reconstruction. 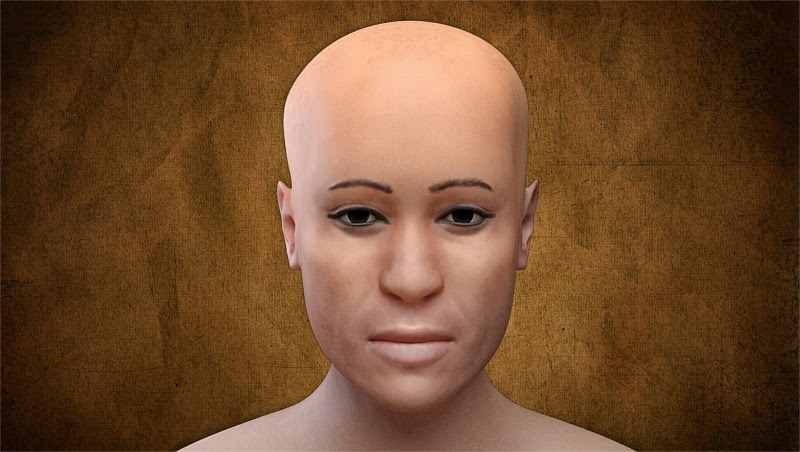 It is clear that the volume of the skull of the last mummy is an approximation, but this was done using accurate data. But the challenge did not stop there. Modeling the skull was only the first part. They would need a full body character to be animated via Kinect. Who works with modeling and animation knows that a full-length setup for this to be articulated is not a trivial task. 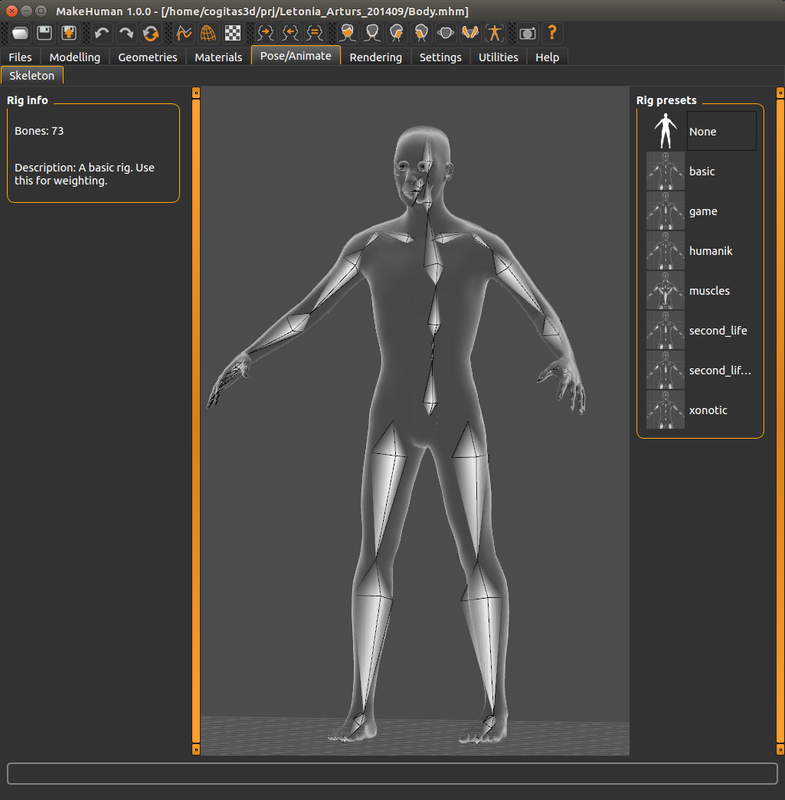 Fortunately I had with me the MakeHuman, a free software to create "human beings parametrically." 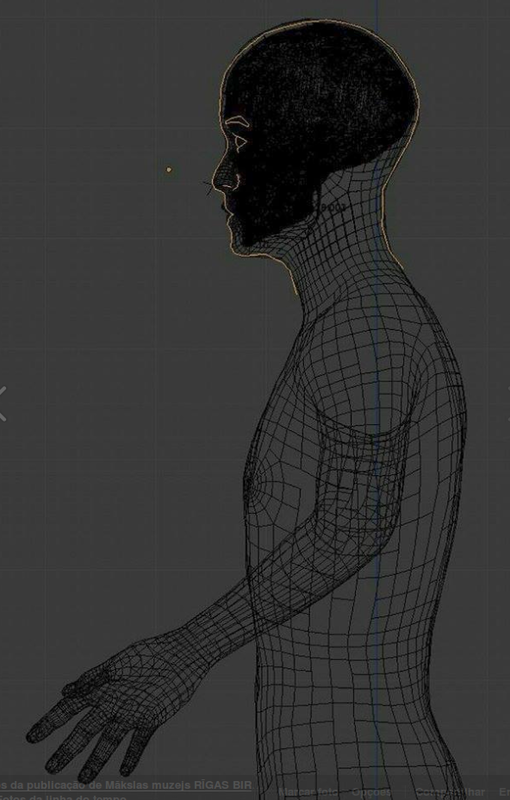 And among the many interesting features, it is possible to select a predefined rig system for the type of animation you need, be it for a movie or even a game, as was our case. Adaptation of the mesh created in MakeHuman to the skull and the face drawn with the technique Manchester + Lebedinskaya. To adapt the character to the game room they put me in touch with the game developer Jānis Lācis, and he guided me to know what we would need to change, since the deadline was short. 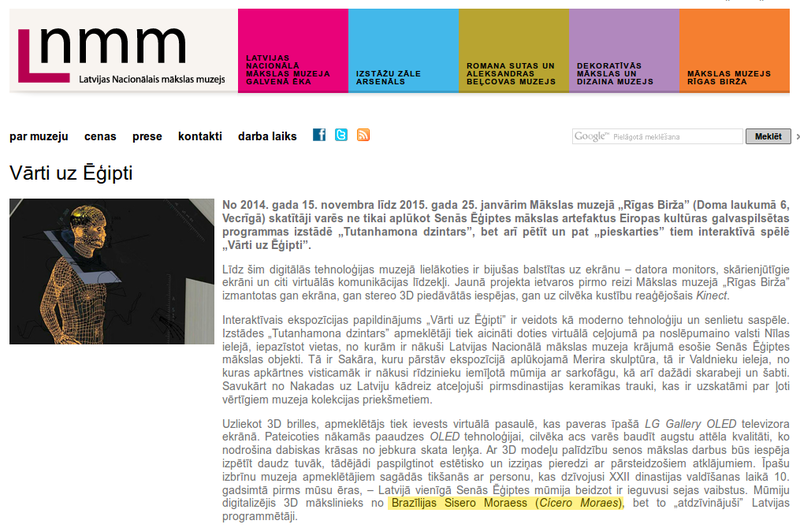 I also met Mr. Dmitrijs Ščegoļevs owner of PARUS studio Ltd., the company that hired me for this work. I must say that everything was very peaceful, the staff of Latvia is very objective and worked almost without sleep to make the application was finished. Even though I was weakened by a terrible sinusitis, the time zone and an excess of commitments could more or less follow them and end the task when the time was almost expiring. Priest (mummy) properly linked and already with their costumes, compatible with the historical period from observations of archaeologist Dr. Moacir Elias dos Santos (thanks!). 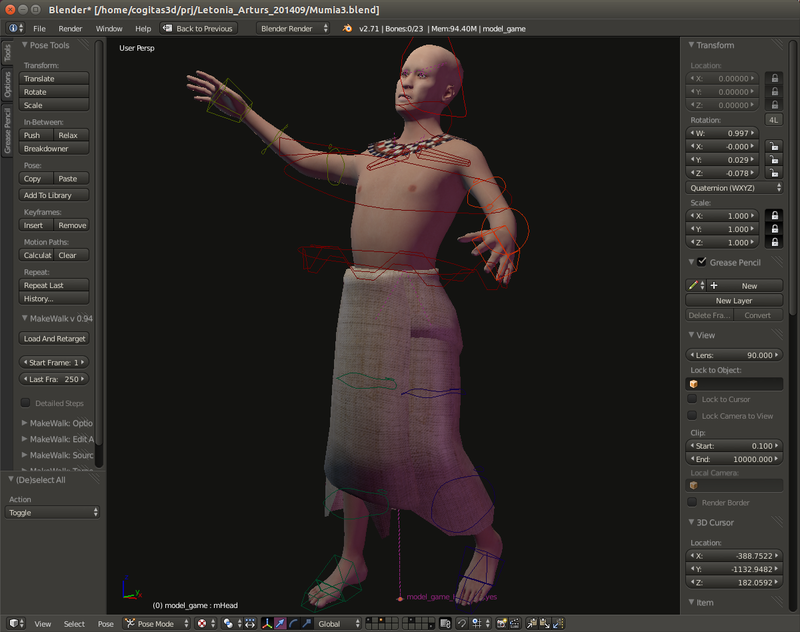 GLSL within Blender. In addition to being kind people, Latvians are good at press office. 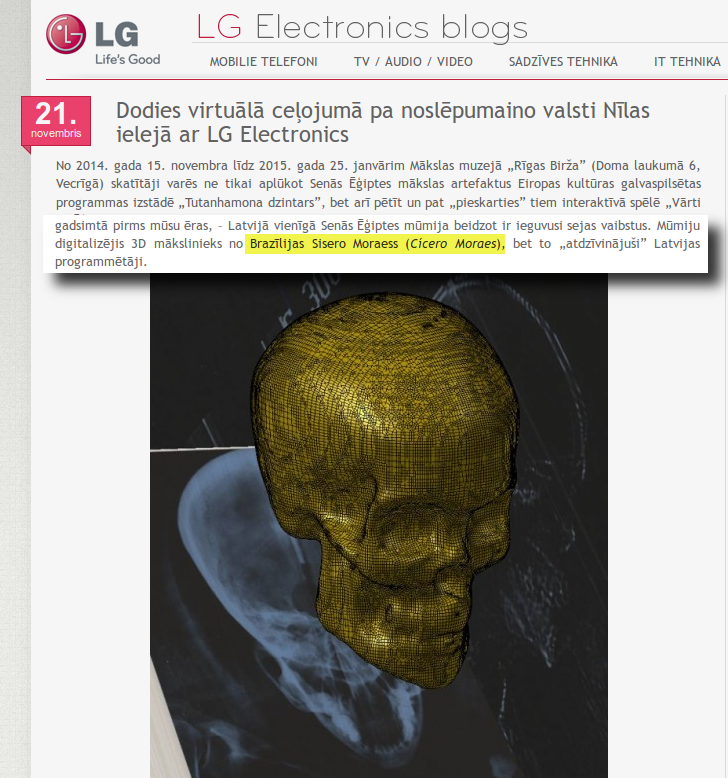 Quickly the news of the reconstructed mummy took the headlines of some news sites. Finally, I can only say I am very happy and pleased to have participated in this project. Thank you very much PARUS Studio, and thank you also to Professor Dr. Moacir Elias Santos for providential help regarding the clothing of the mummy. A big hug to everyone and see you soon! Small press conference. Below left Councilman Fernando Brandão and right Councilman Fernando Assumption. 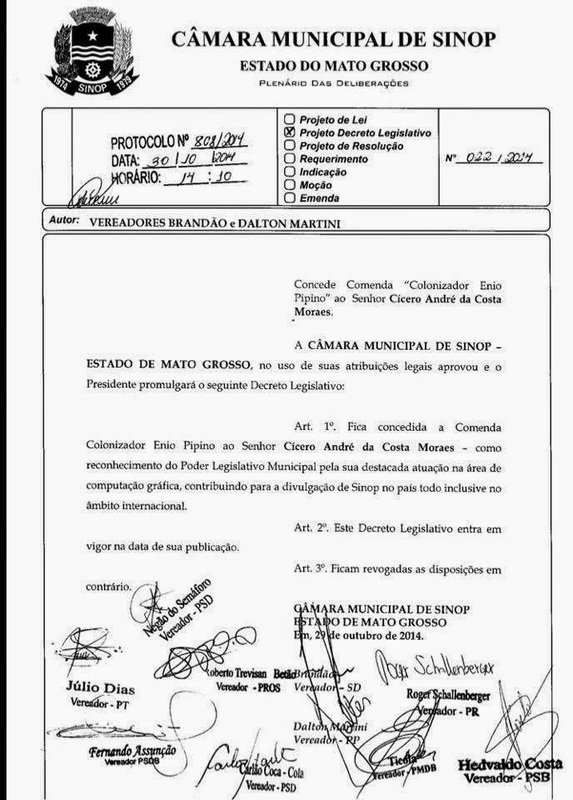 It is with great joy that I share with you the honorary title I received from the City Council of Sinop-MT in Brazil. This is an honorific title known as "Comenda Colonizador Enio Pipino," (Commendatory) that is offered the personalities that stand out in various ways, in my case was in relation to computer graphics work exercised with Blender and free software. Decree Law copy signed by the councilors. Art. 1. 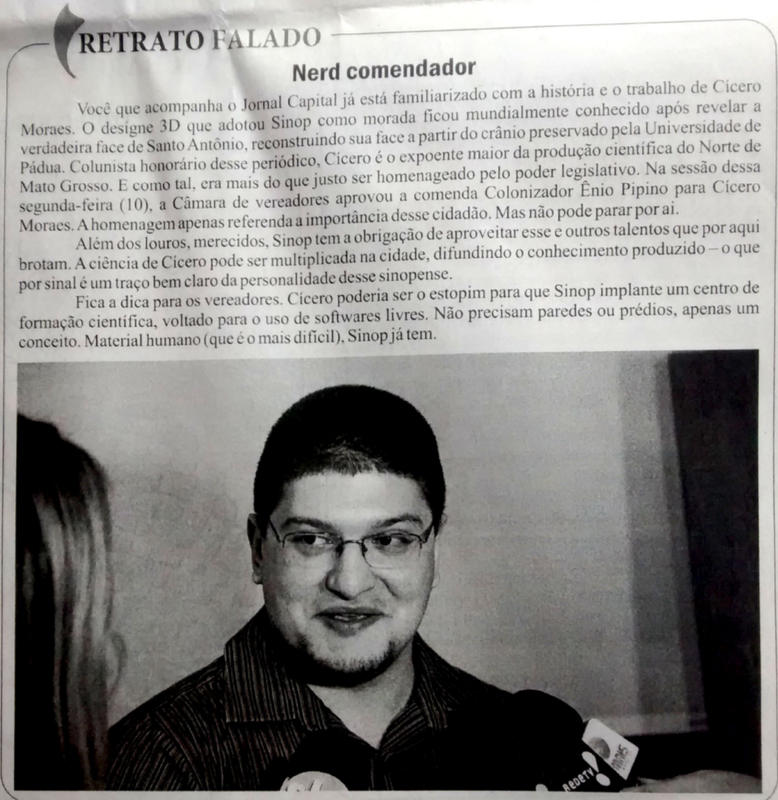 Is granted the Commendation Colonizador Enio Pipino the Lord Cicero André da Costa Moraes - in recognition of the Municipal Legislature for its outstanding performance in computer graphics, helping to project Sinop around the country including at the international level." The project was approved unanimously in single vote. 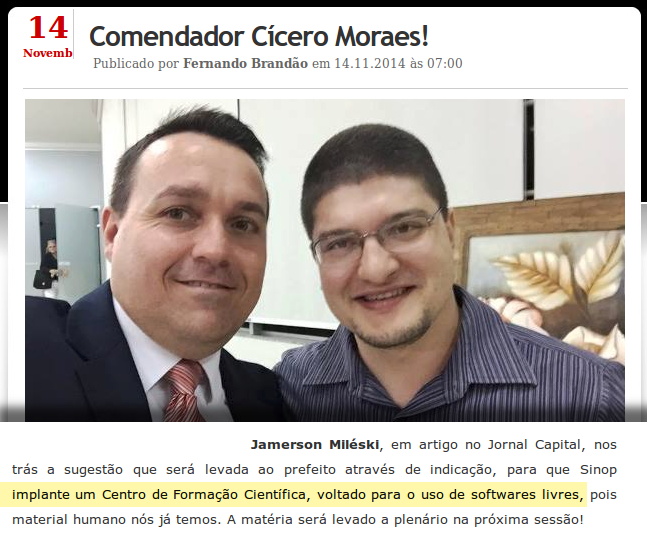 It is important to document that thanks to this commendation the Jamerson Mileski Journal reporter Capital proposed the creation of a science institute devoted to the use of free software, and Councilman Fernando Brandão answered and will lead to the plenary at an early date. This is the second honorary title issued by the City Council in two years. First it was a Motion of Applause also offered me due to the projection that the computer graphics work achieved at national and international level. We of Arc-Team are glad and honored to realize that the authorities and representatives of the population are becoming more interested in free technologies, which above all contemplate the society widely. We leave here our thanks to City Council of Sinop! 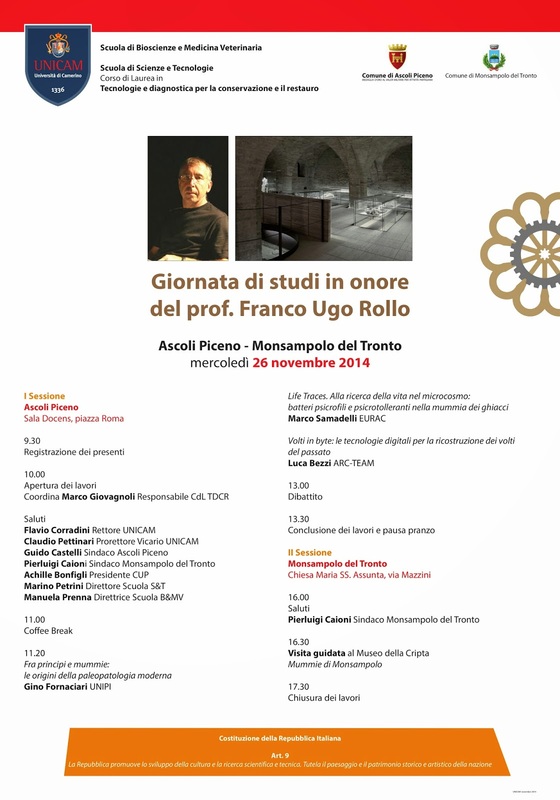 Next week, on November 26, will be held a study day in honor of Prof. Franco Ugo Rollo, the famous anthropologist at the University of Camerino who sadly left us this year. I have been invited to participate in the event, which will take place in Ascoli Piceno and Monsampolo del Tronto, where the Professor analyzed the mummy which are now exposed in the Museum of the Crypt of the S. Mary Church. 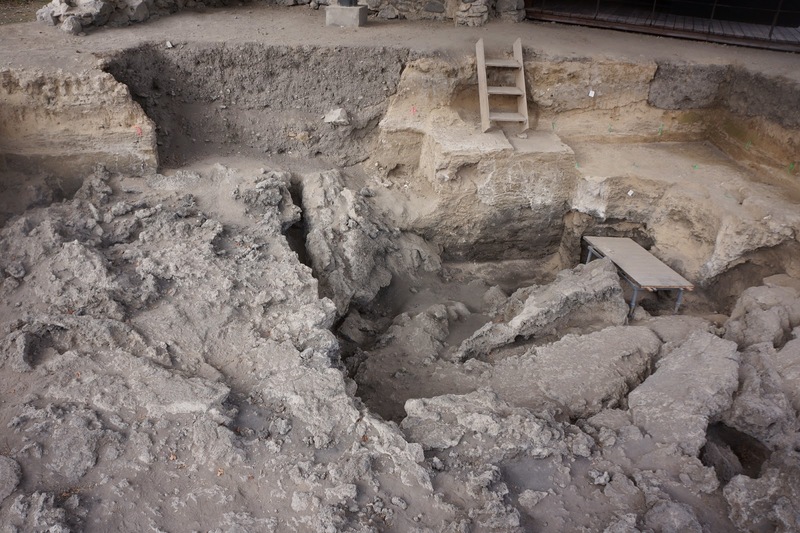 During the first session in Ascoli (in the morning) Prof. Gino Fornaciari (University of Pisa) will give a presentation titled "Fra principi e mummie: le origini della paleopatologia moderna" (en: "Between princes and mummies: the origin of modern palaeopathology". Later, Marco Samadelli, of EURAC, will speak about "Life Traces. Alla ricerca della vita nel microcosmo: batteri psicrofili e psicrotolleranti nella mummia dei ghiacci" (en: "Life Traces. Searching the life into the microcosm: psychrophilic and psicrotollerant bacteria in the ice mummy"). Before the lunch break I will talk about "Volti in byte: le tecnologie digitali per la ricostruzione dei volti del passato" (en "Faces in bytes: new digital technologies for the forensic facial reconstruction of historical figures"). The second session will take place in Monsampolo, with a guided tour in the Museum of the St. Mary's crypt. The event is organized by the University of Camerino (Scuola di Bioscienze e Medicina Veterinaria; Scuola di Scienze e Tecnologie, Corso di Laurea in Tecnologie e diagnostica per la conservazione e il restauro) and the municipalities of Ascoli Piceno and Monsampolo del Tronto. With the centenary years 2014–2018, a hitherto relatively unknown branch of archaeological research, the so-called conflict archaeology, is coming into the limelight. 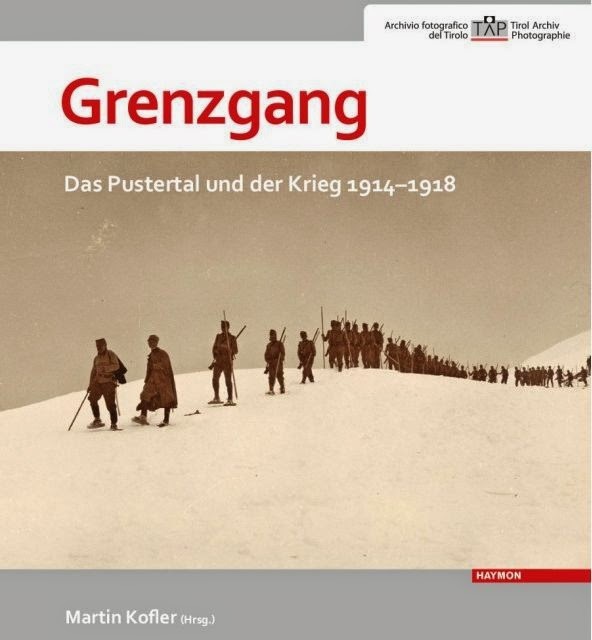 Since excavation work is able to supply only very selective assertions on account of the enormous extent of the mountain front, the overriding objective of monument conservation in the years to come must focus on taking stock of all material remains from the WWI era. As a result of the developments in satellite geodesy and 3D documentation, it is now possible to approach this task on a wide scale and comparatively economically. 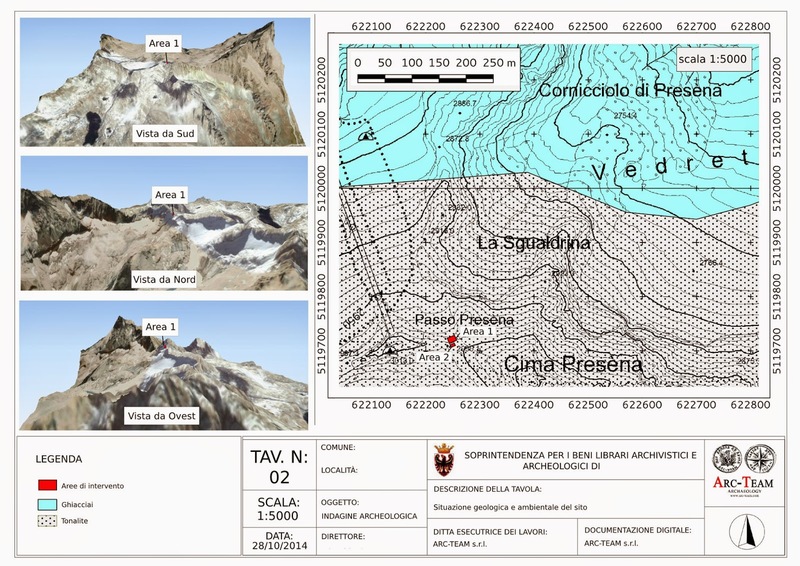 The data collected form the basis of targeted protection measures and provide for future reference numerous new methods of presentation which fulfil the requirements of nature and monument preservation as well as the growing interest of demographic groups. The article is illustrating the latest research results of Arc-Team and is written in German Language by Rupert Gietl. 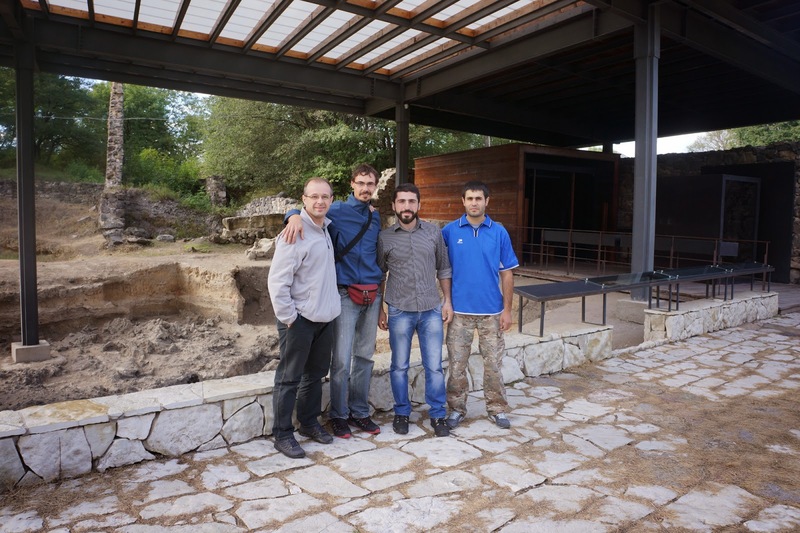 Working as professionals in archeology sometimes means to be involved in projects abroad. 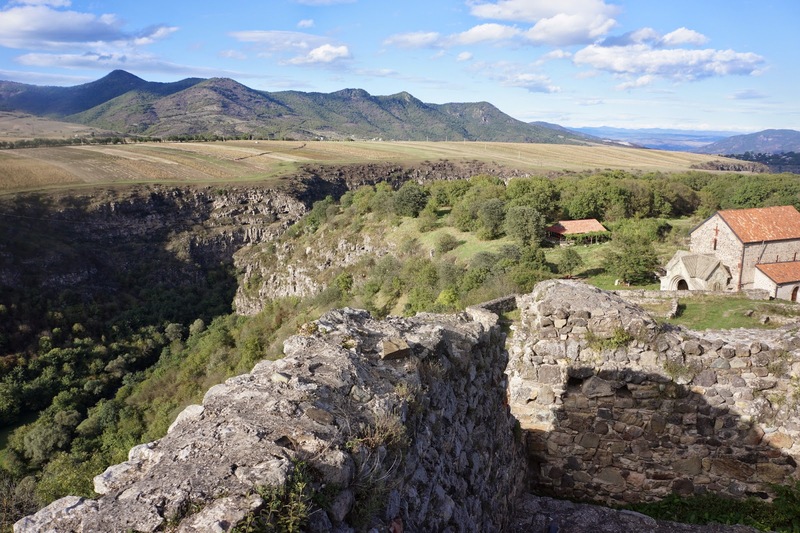 Between Monday 22 and Friday 26 September 2014 Arc-Team participate in organizing a mission in Georgia to document the skulls of Dmanisi (Homo georgicus), in order to perform the facial reconstructions for the open source exhibition "Facce. I molti volti della storia umana" (en: "Faces. The many aspects of human history"). The work was possible thanks to the kindness of Prof. David Lordkipanidze (of the Georgian National Museum) and to the precious help in logistic organization of our colleague and friend Zviad Sherazadishvili. During the mission, carried out with Nicola Carrara (of the Anthropological Museum of the University of Padua), I had the opportunity to take some pictures regarding traditional food in Georgia and "pay my debt" with Lucia Galasso (according to this post). 1. 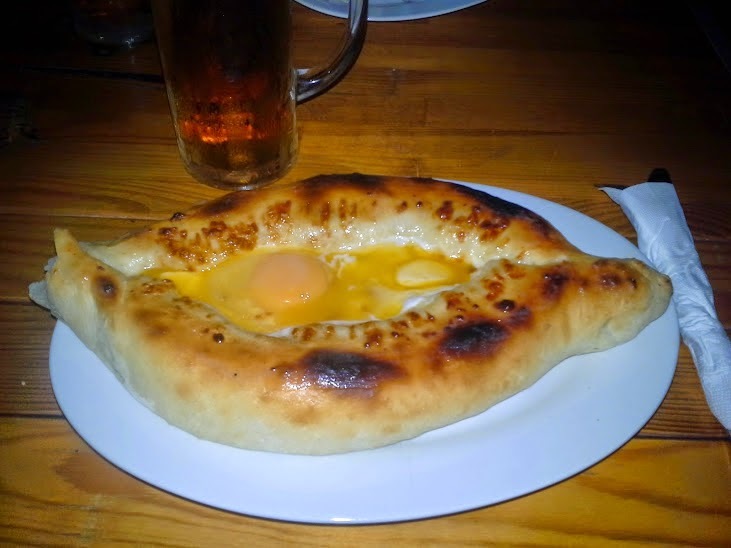 An Adjarian Khachapuri (one of my favorite Georgian dishes), served in a restaurant in Tbilisi. 2. 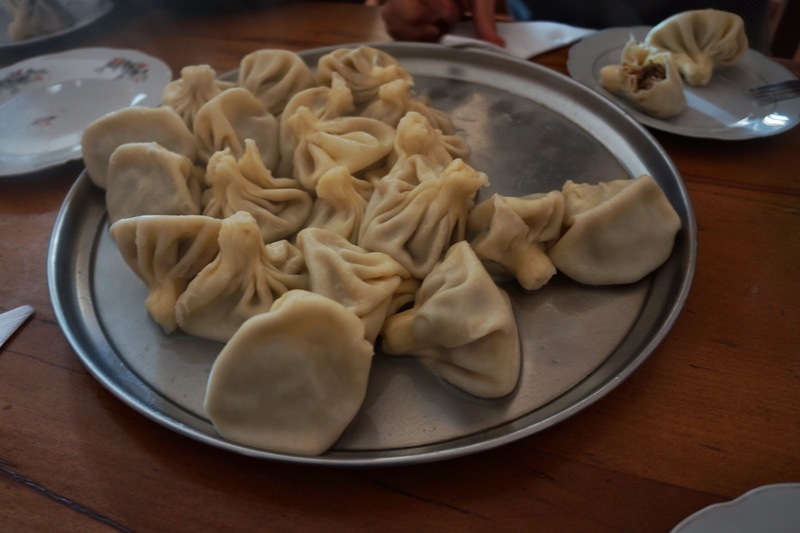 Some Khinkali, for a fast lunch in Dmanisi. 3. 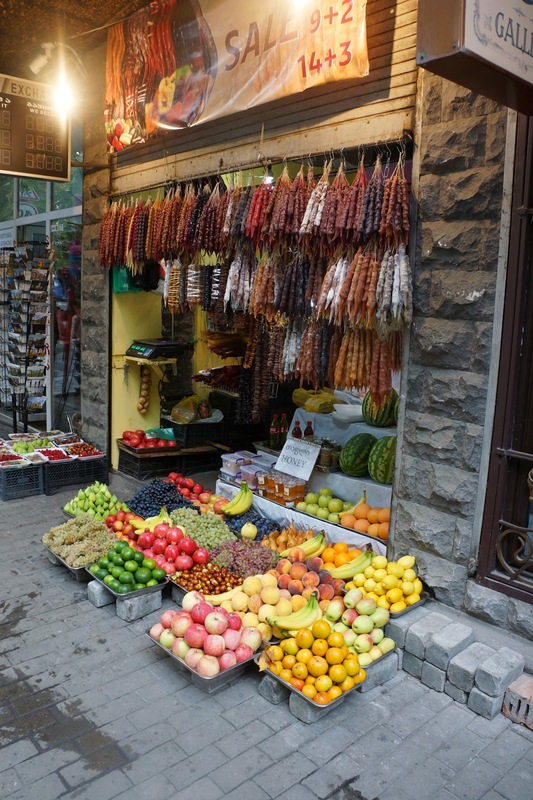 A shop selling Churchkhela in Tbiblisi (for a good dessert). I hope this post will be useful for food culture specialists, helping to discover and appreciate the culinary traditions of Georgia. Once again I have to thank my friend Zviad Sherazadishvili for the kindness and help in organizing the mission! this post is just a small celebration for a first milestone reached by ATOR: 300000 visits since its activation (you can check the counter on the right side of the website). 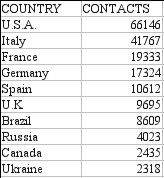 The image belows show an overview of the visitors contacts from all over the world. 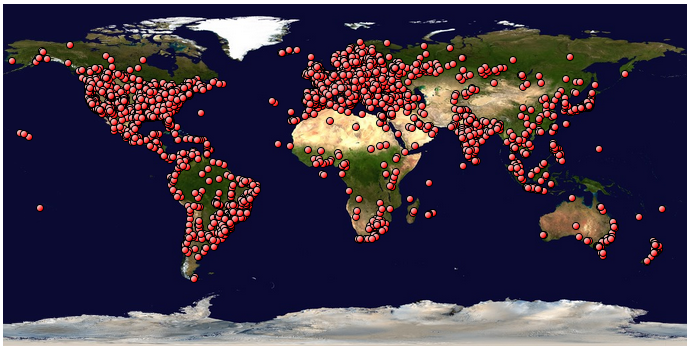 Once again thank you all for your feedbacks, your interest and your support in helping us with our experiment of open research in archeology. I go on recording small videotutorial regarding the software in ArcheOS 5 (codename Theodoric), trying to collecting more material for the official documentation. In order to avoid the creation of "wasted food" (videotutorial which are not connected with a real project risk to be useless because too theoretical and too few practical), I am collecting examples from our (Arc-Team) work. Of course this is not the only way to collect 3D views (I could do the same in GRASS with Nviz), but this workflow is very fast, for a small project. 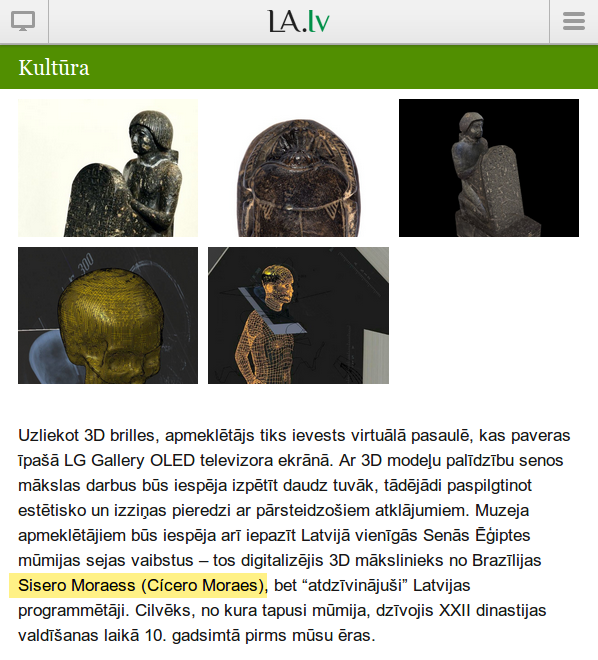 As ususal, the video is uploaded also in our Digital Archaeological Documentation Project.